The battle for attention, conducted by PwC, explores the importance of attention in a world saturated with infinite content. 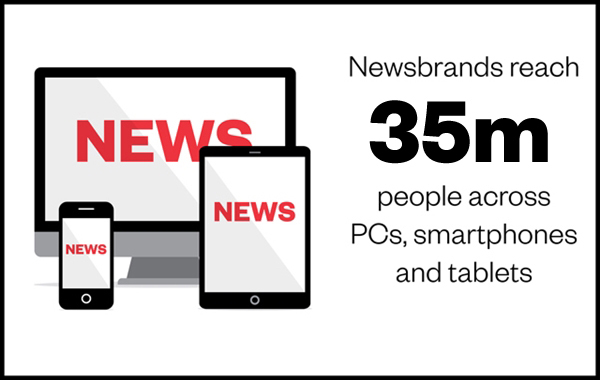 The findings show that the role of newsbrands, as a trusted medium that people choose to pay attention to, is more important than ever. 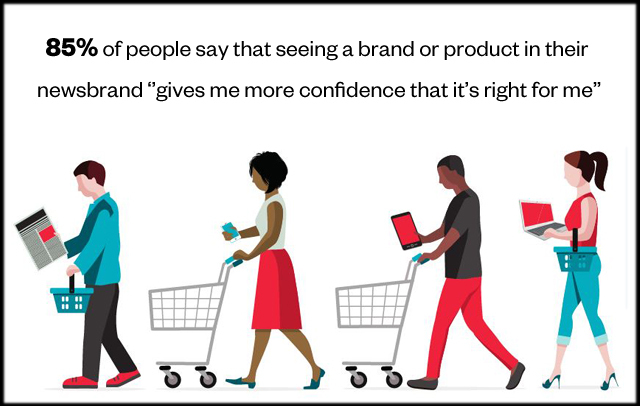 This research examines the consumer decision journey, with a focus on the roles of different media channels along the path to purchase. 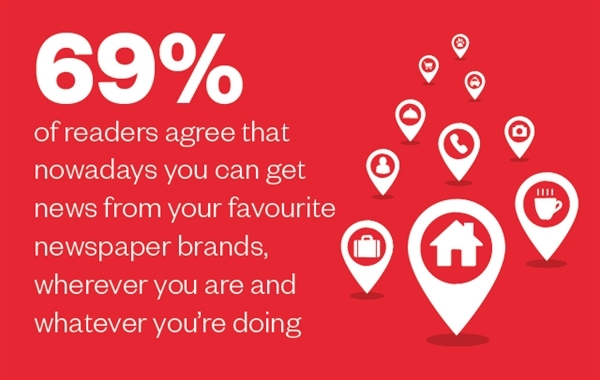 The findings have been developed into an interactive planning tool, to help you choose the right channels to move people along the purchase journey and ultimately to drive sales. Be smart about smartphones analyses news brand reading behaviour tracked on smartphones over three months and explores how young people specifically weave news brands into their 24/7 mobile lives. We challenge assumptions, provide detailed insight into the smartphone day on news brands and suggest five key ways that will help clients and agencies to optimise campaign engagement. 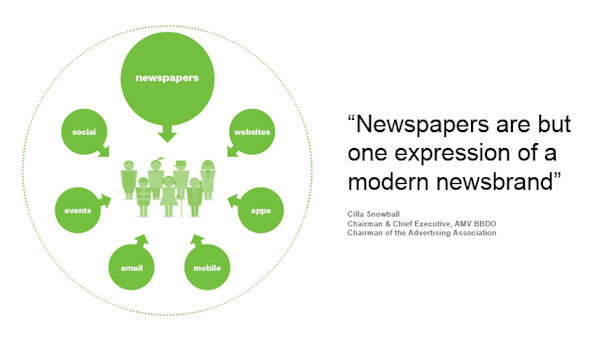 Newspapers are still the core part of the overall newsbrand. They still account for the bulk of the time consumers spend with a newsbrand. 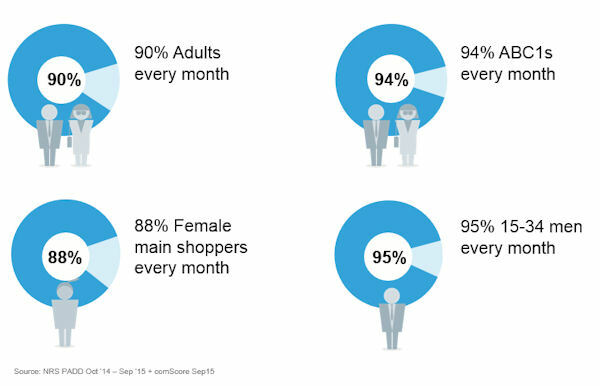 To some extent, consumers don’t care about the platform where they are getting the content. What they do care about though are the brand values of that content. 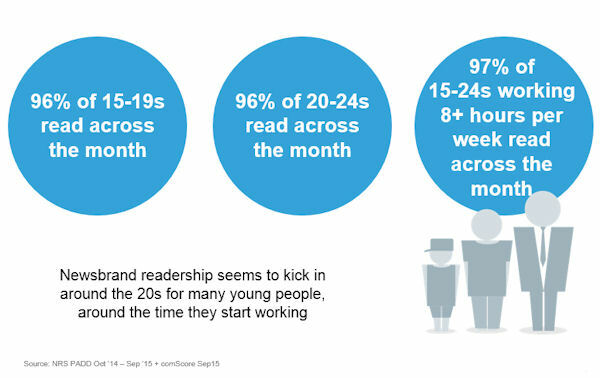 Readers experience a powerful sense of connection to 'their' newspaper and actively seek out information and entertainment in a medium they trust. Reading the paper creates a sense of peace and quiet that allows for the reader's full attention and engagement so information is absorbed to a greater degree than other media. This high level of involvement increases both processing and influence of the message (a). All this is good for advertisers because, as adman Howard Luck Gossage remarked, people read what interests them and sometimes it’s an ad. 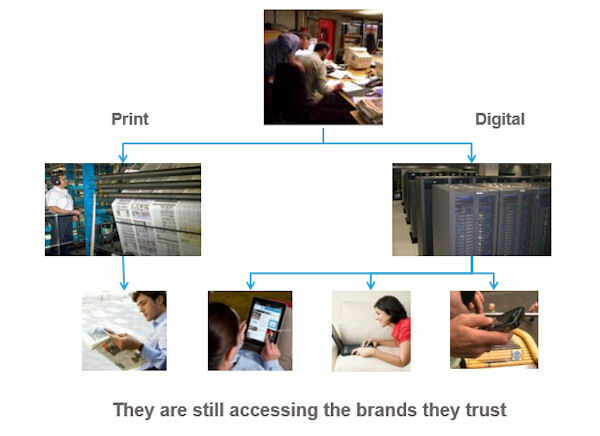 In over 30 newspaper effectiveness tests carried out by Millward Brown and dunnhumby, newspapers are shown to consistently drive brand sales: by 7% across all newspaper readers and by 12% among those who saw a newspaper ad 3 times or more. Martin Hayward, Director of Consumer Strategy and Futures at dunnhumby said “Newspapers increase sales by driving new customers into the brand and multiple exposures lead to stronger effects” In fact, over the broad spread of effectiveness tests, newspapers increased brand users by 7% over the duration of the test activity. In over 30 newspaper effectiveness tests carried out by Millward Brown and Dunnhumby, newspapers consistently drive brand sales: by 7% across all newspaper readers and by 12% among those who saw a newspaper ad 3 times or more. Newspapers are effective at driving brand reappraisal. Across the 18 Effectiveness tests undertaken by Millward Brown, newspapers increased brand reappraisal from an average 56% (TV alone) to 75% for newspapers plus TV. When newspapers ask their readers to get involved, they do. The Evening Standard’s dispossessed campaign raised over £6m in reader donations and when the Sun ran a campaign to make the Social Workers in the Baby P case accountable, 1.3m people signed the petition. Newspapers holds a mirror up to how readers feel about life. This creates trust, and this trust extends to advertising appearing in newspapers. Food, film, sport, health, finance, relationships and travel: just a few of the many topics that newspapers cover every week. This rich editorial blend provides advertisers with abundant opportunity to place ads in a relevant context. 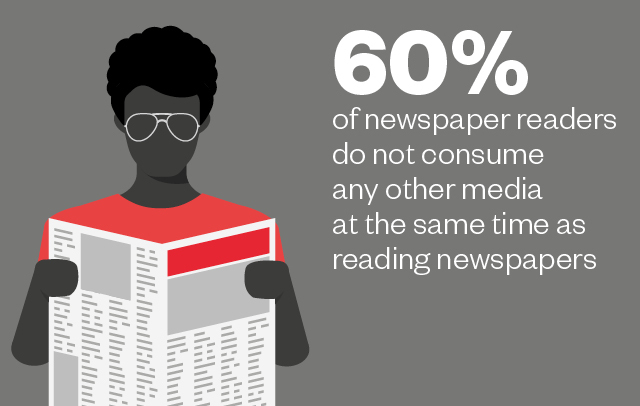 And research tells us that placing ads in a relevant newspaper context heightens reader interest and attention. 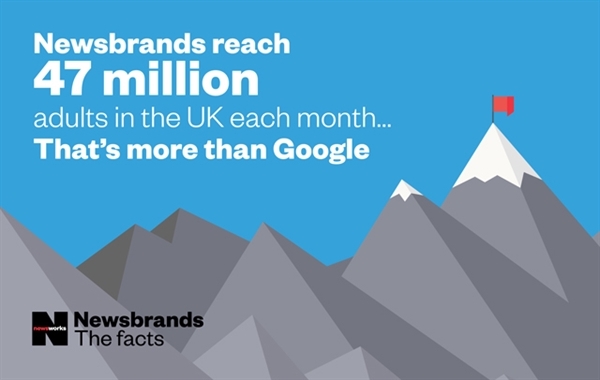 News brands drive audiences online? 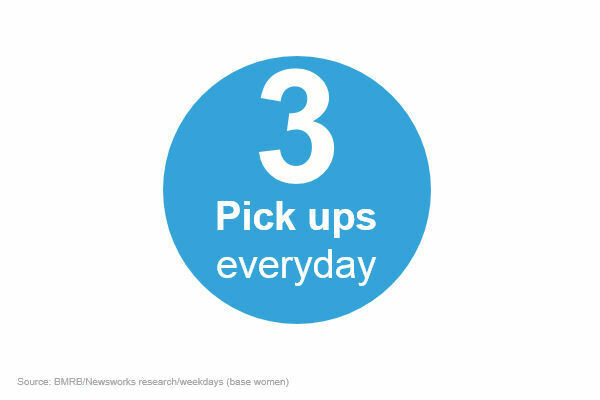 Newsworks Effectiveness research for brands as diverse as Toyota Yaris, Philadelphia and CapitalOne, proved newspapers highly efficient in driving traffic to advertisers’ own web sites. Short copy deadlines – in most cases you can book the previous working day – makes newspapers and online titles, ideal for brands that want to react quickly to events.